It’s funny where life can lead you if you just follow it sometimes. For Lauren Payne, it was a random chance to move to Hawaii when her bother and sister in law were looking for roommates. She took a leap of faith 6 years ago to leave her native San Diego and head to paradise and hasn’t ever looked back. Lauren had the unique (and enviable) position of coming of drinking age in one of the best beer cities in the world and by the time she turned 21, she was already heavily into the craft beer scene. She even celebrated her 21st birthday at a brewery, instead of the normal trek down to Tijuana or over to Las Vegas. 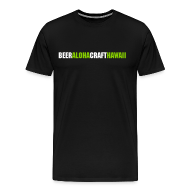 Those formative years surrounded by an over abundance of great beer lead her to landing jobs at Hawaii’s premiere craft beer bars Real and Brew’d, but when Lagunitas Brewing Company came looking for a Hawaii sales rep, she jumped at the chance to join the storied craft brewery. 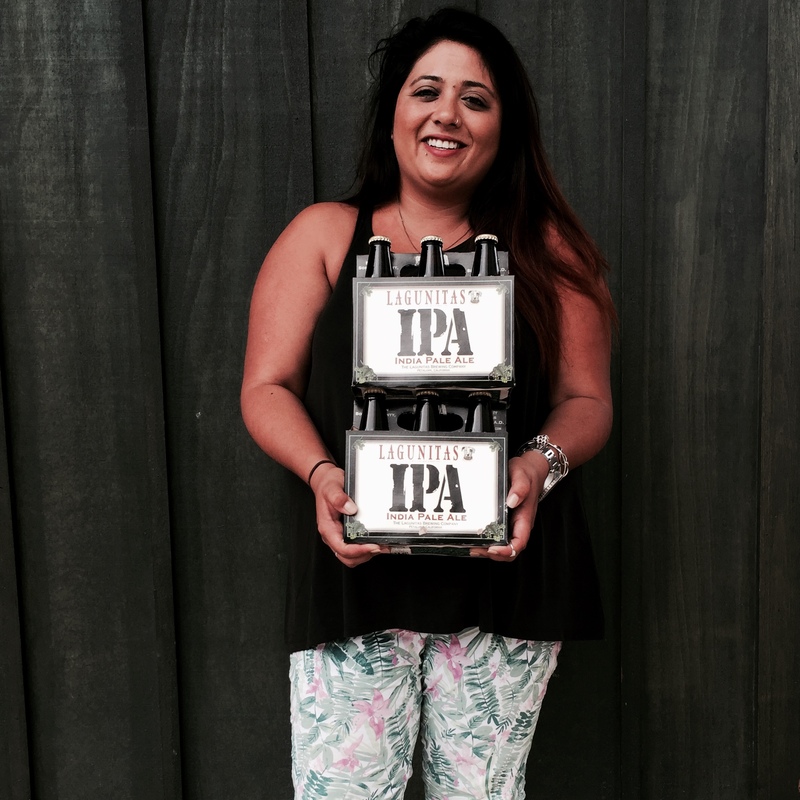 She now oversee’s the Lagunitas brand here and does everything from chatting it up with bartenders and guests, to making sure the brand is properly represented in stores and bars. Seems like a dream job for someone who grew up around beer and Lauren has been loving the unique and quirky culture of Lagunitas. It’s the history of the brewery, the stories that have been adapted and absorbed into brand, and the heart within the pack of weirdos I am so lucky to call coworkers. There’s nothing I enjoy more than seeing the look on someone’s face after I explain how the Undercover Investigation Shutdown was born. I like to think I just help facilitate the stories, and the let the beer speak for itself. 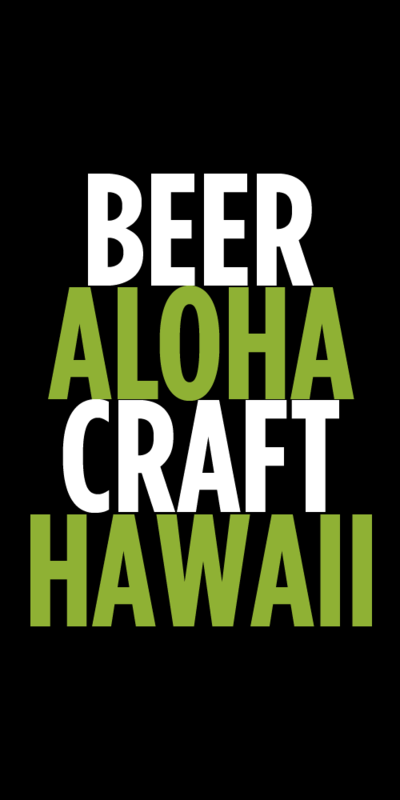 Lagunitas has made a huge splash here in Hawaii since launching a little under a year ago and we can’t wait to see a more steady supply of their Pils! In the meantime, here are 2 beers that Lauren is currently drinking on the regular. Lagunitas IPA – This is the beer that got me into hops. It’s an American style IPA that pours a golden straw color, translucent clear and bright as a button. I’ll admit, I don’t wake up everyday with hops on my mind. But those days that I do, the choice is beyond clear. With a combination of 43 different types of hops and a bit of caramel malt barley, it’s no wonder this once-was-seasonal is now available 365 days a year. It comes in at 6.2% ABV which makes it a highly slammable IPA that always leaves me not just wanting, but needing more! Lagunitas Aunt Sally – I’m a sucker for a great sour! This dry hopped sweet tart mash ale checks every box for me. With an ABV of 5.7%, this thirst quenching brew just found its place on my “Beers of Summer” list. The nose leads with a tame sour note, followed up with a bit of “tropical” hop profiles. I can’t wait to throw a six pack in the cooler and get down to the beach! Tags: Lagunitas Brewing Company, What I'm Drinking. Bookmark the permalink.